TVS Motor Company has launched the latest campaign for its brand TVS Jupiter. The new ad campaign salutes and recognises the life mantra of the Indian Man – “apne se bhi zyada apnon ke liye”. The TVC has been created by Dentsu Communications and is running on-air across channels. It celebrates the dedication, hard work and the spirit of the Indian man who ‘enjoys doing more’ relentlessly through its brand philosophy evangelist Amitabh Bachchan. Through this piece of communication TVS Jupiter, not only celebrates the spirit of existing Jupiter owners but also aims to scale newer heights by influencing new consumers to become a part of the TVS Jupiter family. TVS Jupiter was launched in Sep. 2013 with a positioning of “Zyada Ka Fayda”. In just a few months of its launch Jupiter became the most awarded scooter in 2014 and later in a short span of 28 months, Jupiter had a staggering 9 lakh customers spread across India. A true testimonial that proves Jupiter as the preferred choice across India. To achieve this, the current rational positioning of “Zyada Ka Fayda” will be reinforced with an emotional pay-off to make the communication more holistic. Mr. Amitabh Bachchan as its brand philosophy evangelist will assist in connecting with the audience and build stature, affinity and emotional connect for TVS Jupiter. TVS Jupiter targets the rooted, middle-class Indian man. Somebody who is self-made, has endured a lot of struggles and has steadily worked his way up. His world revolves around his dear ones, in every aspect of life, and with great pride he constantly strives to do more for them. Extensive researches resulted in the findings that TVS Jupiter was the TG’s Man-Friday that enabled him in fulfilling his responsibilities. It helps him get satisfaction by doing more and fulfilling his responsibilities better for his dear ones. Hence the team at Dentsu Communications came up with a simple yet powerful thought “apne se bhi zyada apnon ke liye” to salute and recognise the spirit of the India man. The film expresses this joy of doing more through the many ‘Zyada’ in their life – a caring father, a dutiful son, a community pillar, a responsible citizen or a dedicated patriot. Playing each of the life role is about drawing on the deepest reserves of physical, mental and emotional strength, so that your dear ones have more to build his life on. And no one understands this better than someone who has experienced this himself. Each situation in the TVC has a common thread connecting them across the diverse geographies and cultures of India – their willingness to strive for the happiness of their dear ones and in every aspect of life. Amitabh Bachchan as the brand philosophy evangelist magnifies the values and brings alive the brand philosophy behind ‘Zyada ka Fayda’. He keeps the spirit of ‘Doing More’ alive by celebrating and recognizing the contributions of these Indian Men above everyone else. The film opens on Mr. Amitabh Bachchan saying “Zyada”…it is such a small word, but there are some people who truly do “Zyada”. Wearing their responsibilities as a crown… shouldering the trust of dear ones…they start out every day to do “Zyada”. So, why this “Zyada”? And then we see men from different walks of life answering to the question. A responsible father buys a football for his daughter and says “Mere Beti Ke Liye”. We then see a dutiful son stop by a petrol station with his old father sitting as pillion. Thanks to the convenience of external fuel filling, he doesn’t let his father to get down from the scooter and says “Mere Babuji Ke Liye”. We see a young guy who helps his Mohalla by bringing the Ganesha idol to celebrate the festival and says “Mere Mohalla Ke Liye”. A young doctor who comes back to his village to set up primary health care centre in his village proudly says “Mere Gaon ke Liye”. A college student picks up trashed can from the middle of the road and throws it into a dustbin and says “Mere Seher Ke Liye”. We cut to the sequence where an Army man waves good bye to his wife and little daughter. As he goes back to the battle front he says “Mere Desh Ke Liye”. We then see quick Pan-India shots of different people riding TVS Jupiter, across lanes, bye lanes and across different terrains. We comeback to Amitabh Bachchan, with him saying “Zyada” is not merely a small word. It defines these people, who live more for their dear ones than just for themselves. The TVC ends with brand signoff TVS Jupiter – Zyada Ka Fayda. Aniruddha Haldar, Vice President-Marketing, TVS Motor Company, said, “TVS Jupiter is crafted for the Indian Man. A common thread connecting them across the diverse geographies and cultures of India was their willingness to strive for the happiness of their dear ones, in every aspect of life, almost like a life mantra, “apne se bhi zyada apnon ke liye”. TVS wanted to salute and recognize this spirit of the Indian Man and hence crafted the TVS Jupiter for him and brought in Mr. Amitabh Bachchan, the defining icon of the Indian psyche as the brand philosophy evangelist. This beautiful creative at its core is a salute to the life philosophy of the Indian Man “apne se bhi zyada apnon ke liye” by the one icon Bachchan whom he holds above everyone else, and places the TVS Jupiter firmly as the ride of preference delivering “Zyada ka Fayda”. “TVS Jupiter celebrates the selfless spirit of a common man whose small everyday acts for others, are by no means ordinary. 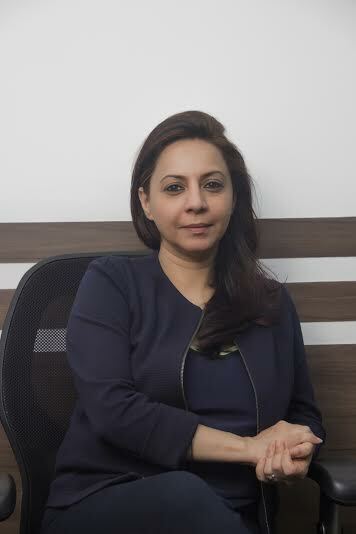 Needless to add, this story had to be strung together by none other than Amitabh Bachchan” said Simi Sabhaney, CEO, Dentsu Communications, Bangalore. “The campaign is a collection of montages across India that reflect the very essence of the everyday Indian man, who selflessly lives an existence for the benefit of the people who are dearest to him. Simply put that’s his greatest joy “apne se bhi zyada apnon ke liye”. Mr. Amitabh Bachchan brings out this insight beautifully with his credible stature. The scooter stands for this at a rational platform as it is truly a ‘Zyada ka Fayda’ product in all respects.” said Samrat Chengapa, Sr. Vice President-Client Servicing, Dentsu Communications, Bangalore. I see website http://www.medianewsline.com and its impressive.I wonder if the content or banners advertising options available on your site ?